Imagine you could manage server and cloud applications as easily as apps on your smartphone. Introducing the Univention App Center. The Univention App Center contains an ever-growing number of software solutions from different developers for companies and public institutions. 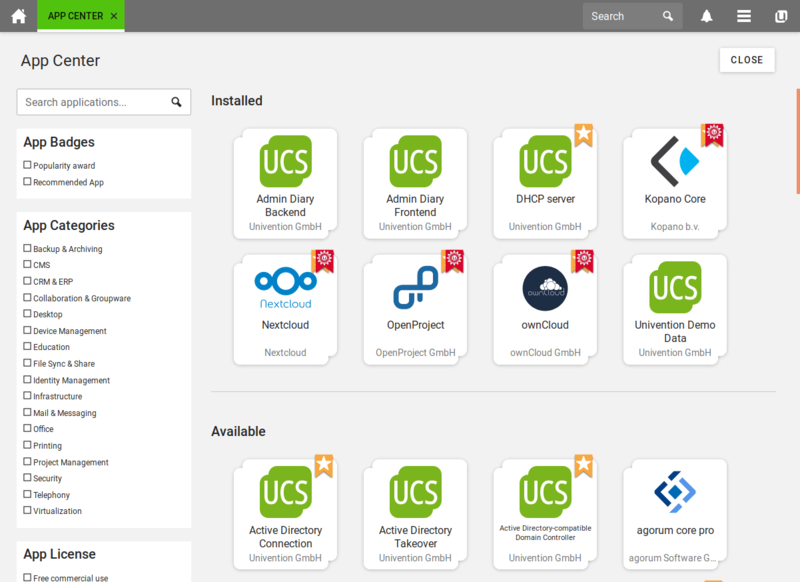 These apps can be simply installed via the App Center, integrated in your in-house IT, and conveniently managed via UCS’ central management system. The App Center also offers the possibility of discovering, testing, and then purchasing different apps. It is integrated in UCS and represents a key component of every UCS installation. 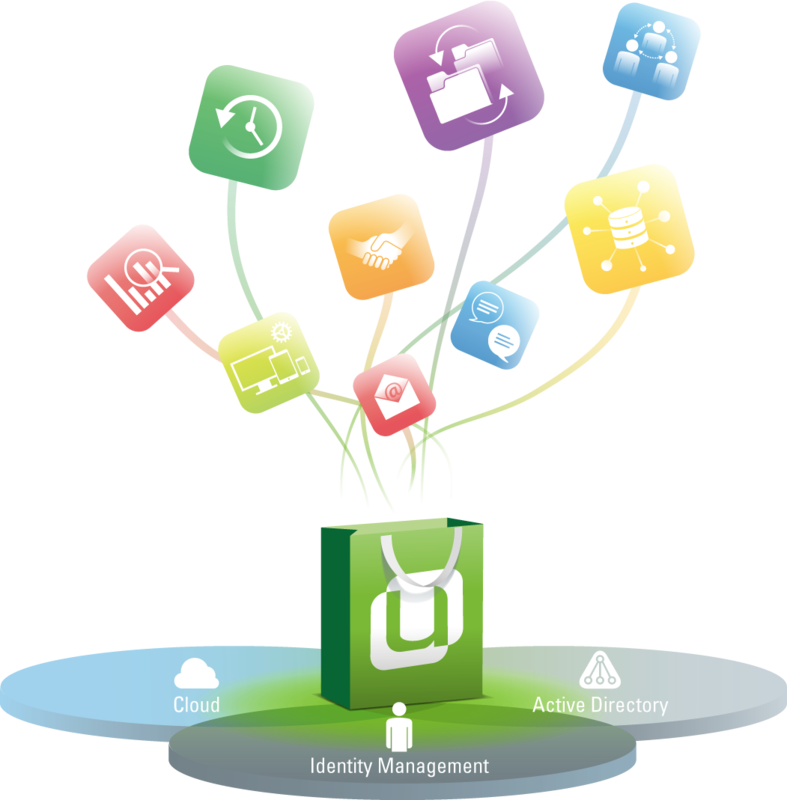 The Univention App Center offers you solutions in the form of an ever-growing number of Univention apps including enterprise solutions for groupware and collaboration, backup, document management, ERP, project management, and a whole host of other fields from a multitude of independent software developers. In addition, there are expansion modules for Univention Corporate Server such as the Active Directory Connection, the Windows member server, and UCS@school. 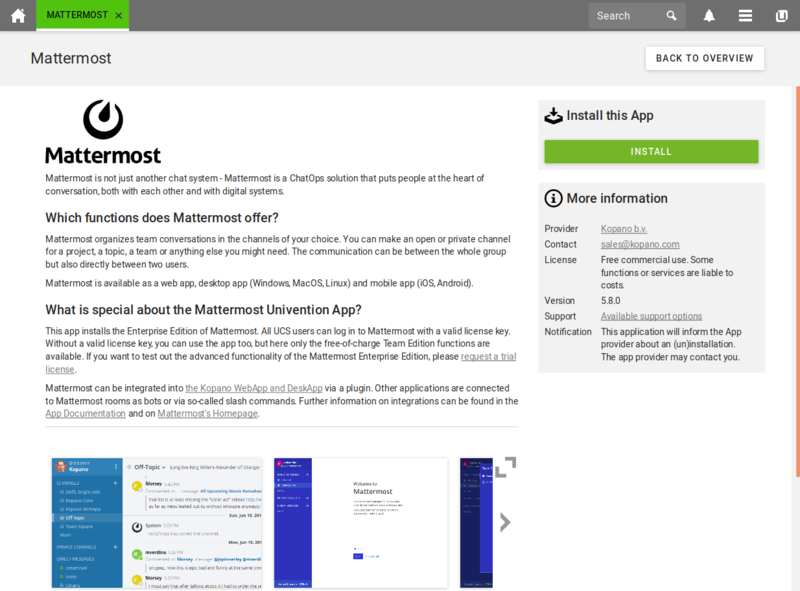 You can find an overview of all the apps in our app catalog. Many of the apps are available as ready-to-use appliances for different virtualization and cloud formats such as KVM, VMware, and VirtualBox. These appliances contain a pre-configured UCS system, the ready-to-use app, and the management system for administration. It is the simplest way to get started with an app if you want to install it via the App Center in a scenario other than an existing UCS infrastructure. 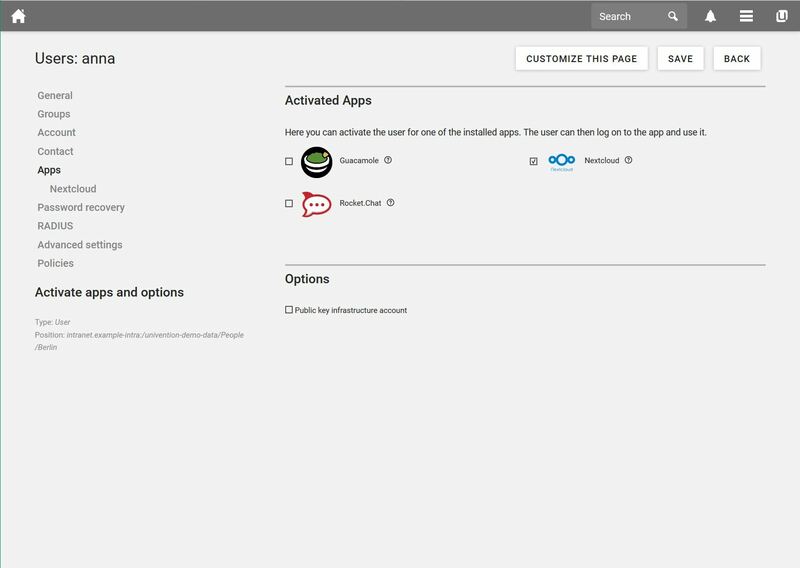 The app appliances can be downloaded directly from the app catalog. A range of apps are also available as cloud solutions from different cloud partners. 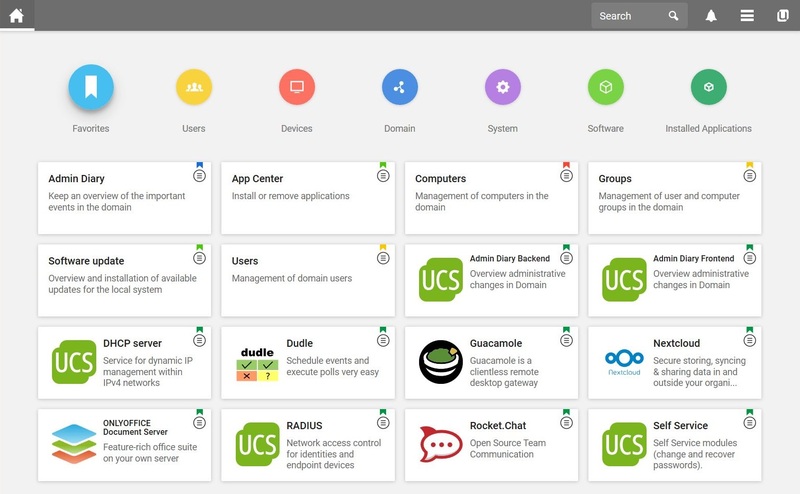 For users, the Univention apps are the simplest means of introducing new applications, running them, and integrating them in an existing infrastructure. Solution providers can discover in Univention apps the possibility of expanding their solution with an efficient, web-based management system and making it available as a cloud service or in the form of a self-contained Docker container. Cloud service providers can offer the apps as hosted services and in doing so offer their customers a large portfolio of mutually integrated applications without extensive integration efforts.